Pop singer Rita Ora, known for songs such as "I Will Never Let You down" and "Shine Ya Light" will be performing a song at St. Peter's Basilica for Pope Francis. Rita Ora to sing for Pope Francis. LOS ANGELES, CA (Catholic Online) - NME reported Ora was asked to perform at a ceremony in Italy this weekend to honor the canonization of Mother Teresa. Mother Teresa will be canonized September fourth. A live stream of the event will play at 4:30 am ET/1:30 am PT, with reruns playing throughout the day and again September 7th. Ora appeared as a guest on Jimmy Fallon's talk show, where she jokingly told Fallon: "I'm going to the Vatican, I leave tomorrow! I'm more of a spiritual person, so the Vatican I figured out is actually a big deal." It is unknown exactly why Ora was asked to perform but many believe it is due to her Albanian heritage, one she shares with St. Mother Teresa. The Catholic Herald reported Ora is Albanian but her family moved to London when she was only one-year-old, casting doubt on the heritage theory. 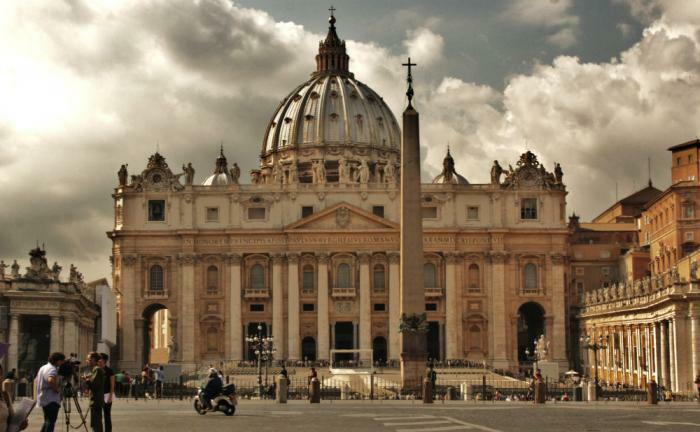 Vatican auditors freeze nearly 5,000 accounts. Speaking to Fallon, Orta explained she was traveling to the Vatican: "To celebrate Mother Teresa who has now become a saint. I'm going to do a whole 'What's up, Pope' thing." Luckily, the presenter suggested she Google how to appropriately greet Pope Francis, which she will be looking into. The pontiff can expect the pop star to sing "What Child is This?" at St. Peter's Basilica during the celebration. The singer also announced a new global record deal with Atlantic in June. "Music is my first love and I am looking forward to getting my new songs released," she shared. "I'm thankful to my new Atlantic Records family for all their support and encouragement. The next chapter is going to be incredible."